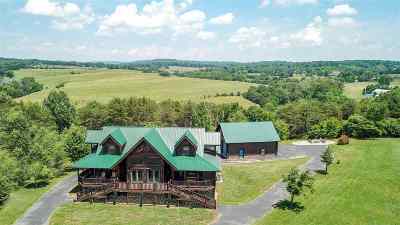 Custom built round log home with stunning Smoky mountain/Douglas lake views on 1.46 acres. Open concept, stacked stone gas F/P 3BR/2BA with 2 half baths. Master BR offers sitting area in bay window, walk out to porch and enjoy the views. All bedroom furniture stays. Hardwood & tile floors throughout. Full Granite shower in master and granite counters throughout. Kitchen features custom Thomasville cabinets, stainless steel GE profile full package and LG refrigerator. Large eating area. Partially furnished L/R. Lower level offers total family entertainment with furnished Hollywood-style home theater w/wet bar and family room that includes pool table. Full wrap around porch and 2 private balconies for each bedroom up. 4 Bay RV garage 30&apos; wide x 38&apos; long along w/1 car attached garage. Great for your antique cars as well. Relax by the fire pit on stone pavers and enjoy beautiful country side views. Driveway wraps around. Easy in & out. 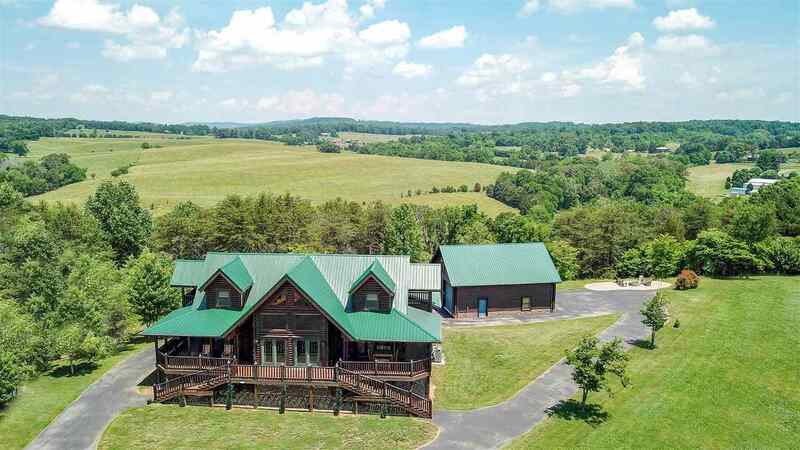 Convenient to I-40 & 81. 15 min to Pigeon Forge/Smoky Mountains and all area attractions. Great for large family gatherings! MUST SEE!